Sometimes it takes just one wonderful book to turn a child into an avid reader. So here are a few books that I recommend to turn your child (or class) into avid readers AND animal lovers. 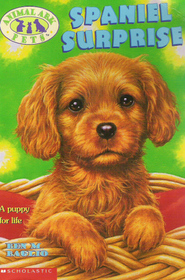 This book is about Dog No. 241 who lives in a crate in a cold barn that is stacked full of hundreds of caged dogs in a “large-scale breeding facility”, better know as “puppy mill”. 241 has never known human companionship, exercise, or decent veterinary care. Finally, rescuers arrive and take her (and the other dogs) away from this terrible home and to their new lives. Even though she is terrified, 241 finds herself in a foster home, being bathed and groomed and loved (for the first time ever) by Emma, her new foster mom. At first, she is too frightened to respond, but eventually 241 (renamed Dakota) learns to trust Emma and begins to love her new foster home. A mixed-breed dog is telling his life story. Buddy’s former owner did not feed him enough, provide clean water, and frequently left him chained outside. But things changed for the better when the animal was rescued and taken to a shelter, where he was subsequently adopted by a caring family. 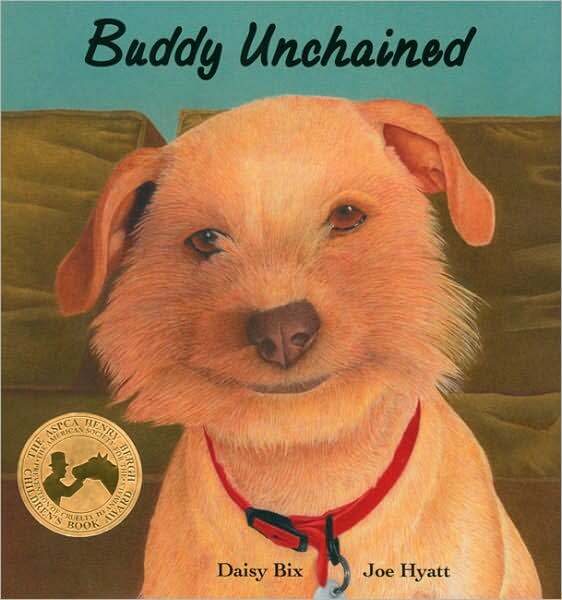 Attractive, realistic paintings invite readers to look into Buddy’s eyes and experience his emotions, both of neglect and of contentment in his new home. When Michael Vick’s dog fighting ring was discovered, more than forty dogs were rescued. But their struggle was far from over. 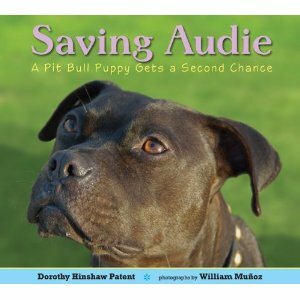 Most animal advocates believed the former fighting dogs were too damaged to save, but Audie and his kennel mates would prove them wrong when public outcry and the publicity surrounding Michael Vick’s punishment won them a chance at a happy life. After Kate’s kitty dies, her family decides they need a new pet, so they head to the animal shelter! There are of dogs of all shapes and sizes at the animal shelter, but Kate knows that she wants Dave the moment she sees him. He’s small and cute and a perfect fit for the end of Kate’s bed. But then they see Rosy, who is old and gray and broad as a table. 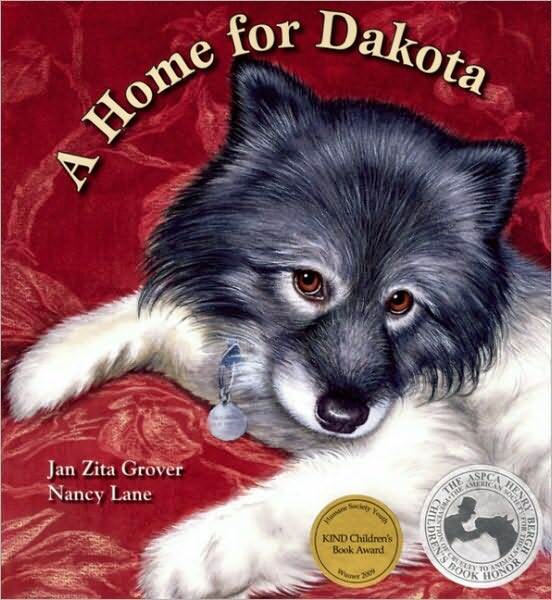 This story is about the families struggle to only take home one dog that is in need of a home. This story will be loved by animal lovers of all ages! This is a heart-wrenching, yet heart-warming story based on how Phoebe survived several years in a puppy-mill. She was then rescued and transitioned into the home of a very loving family (with Frances), therefore learning how to become a “real dog”. 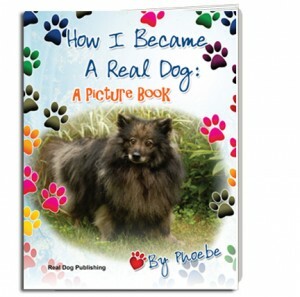 This is the true story about how Pheobe’s owner Frances shows her the fun side of life. Such an amazing book! 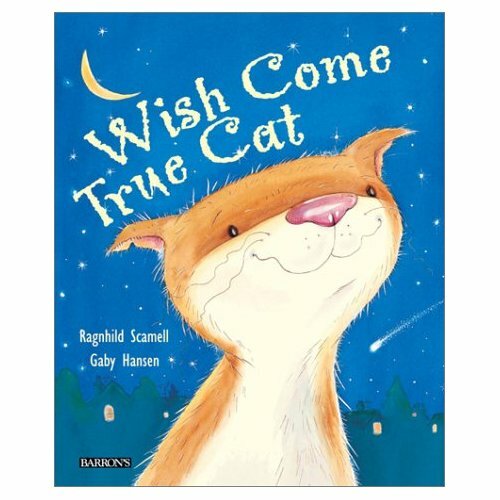 This is the heart warming story about a girl who wishes for a kitten. Instead of a kitten, she gets a big surprise! A big, scruffy stray cat waits for her outside of her bedroom window! Thinking it is a mistake, she tells the tom cat to go away. Day after day, Mr. Kitty comes back to her window, trying to gain her love and affection. 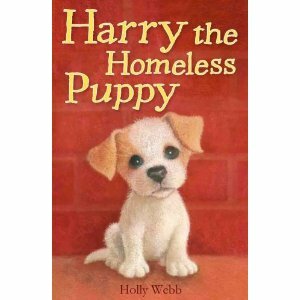 This is an amazing story for any child, as it teaches them that you don’t need a young kitten to be happy. A collection of true stories about the amazing lives of eight shelter dogs. Many of these dogs were unwanted because of their size, behavior, or medical condition. All of the dogs found owners who loved and cared for them and ultimately helped change their lives in tremendous ways. The dogs have changed the owners’ lives, too. Not everyone cares for animals as much as Mandy does. When a stray cat gives birth in Mr. Williams’s kitchen, he is absolutely furious. Can Mandy and her friend James find homes for four newborn kittens in just one week? Mandy and her best friend, James, know how much Ben Hardwick needs a dog. Ben watches “Give A Dog a Home” every week, and he’s desperate to adopt one of the dogs that needs a home. The trouble is, Ben’s mom is very choosy about getting the right pet. Will Mandy be able to find the Hardwicks the perfect puppy? When Mike’s family adopts Jack from the animal shelter, he becomes a member of the family. After many years of going to the park and trick-or-treating, Jack becomes old, and the family must learn to deal with his death. Grace can’t have a puppy of her own, but she loves walking the dogs at the local animal shelter; her favorite is Harry, a lively Jack Russell puppy. Harry loves going for walks with Grace, and soon the two are best friends. But then Harry is rehomed and Grace is heartbroken. Grace knows she should be pleased that Harry has a home of his own, but she misses him terribly…and poor Harry doesn’t understand at all — where has his beloved Grace gone? 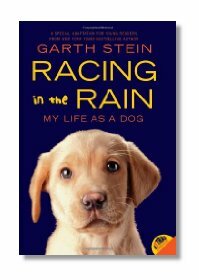 The Art of Racing in the Rain by Garth Stein (Children’s version) Recommended for ages 8 and up! Enzo, the lovable mutt who tells this story, knows he is different from other dogs. While most dogs love to chase cars, Enzo longs to race them. 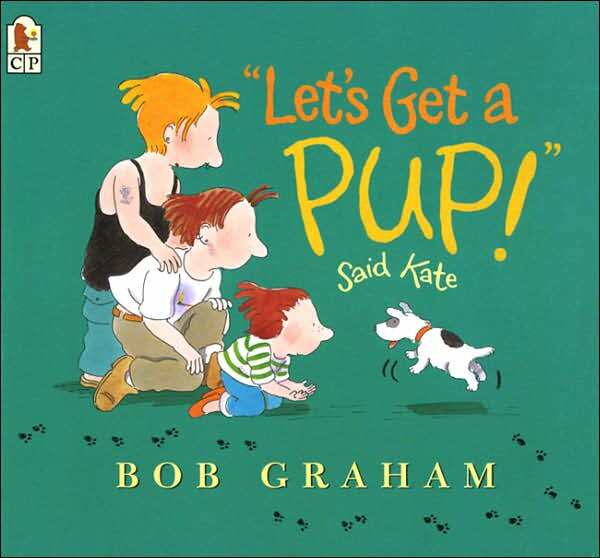 He learns all about racing and the world around him by watching TV and by listening to the words of his best friend and owner, Denny, an up-and-coming race car driver, and his daughter, Zoë, his beloved companion. Enzo finds that life is just like being on the racetrack—it isn’t simply about going fast. By applying the rules of racing to his world, Enzo takes on his family’s challenges and emerges a hero. In the end, Enzo holds in his heart the dream that Denny will go on to be a racing champion with Zoë by his side. This is one quote that I firmly believe, “Teaching a child not to step on a caterpillar is as valuable to the child, as it is to the caterpillar”. Educating our youth about animal welfare issues is one of the greatest gifts we can give them! These stories will not only teach them, but they will stick with them forever! Thanks Mindi, I put them on my list…will use this topic for persuasive writing also! Love to hear about any book that is meaningful with life lessons! Thanks for sharing this with everyone. I passed this on to all my teacher friends and plan to purchase them to donate to all of our elementary schools.